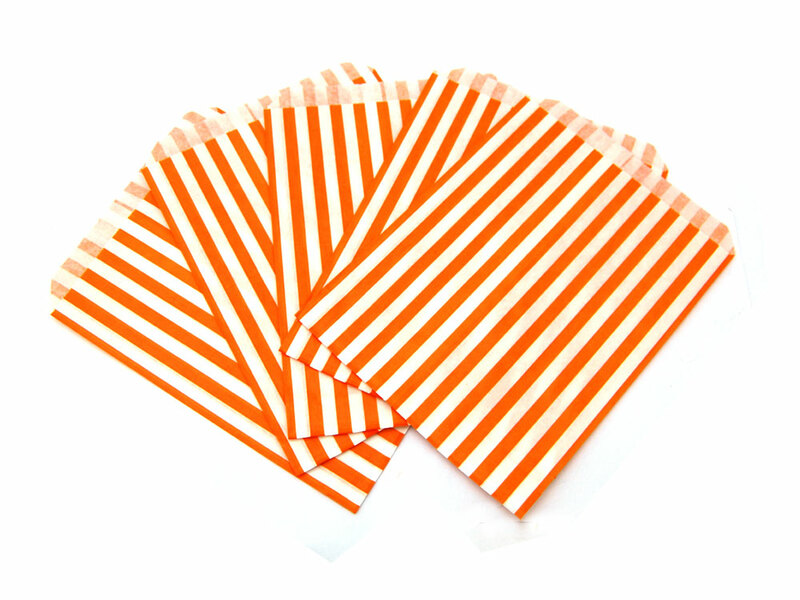 Orange candy striped paper bags. These bags are classic sweet bags in a range of cheerful colours. Sold in units of 50 bags.